THE BRILLUSTRATOR: Call me MISTER Goon! Just wanted to do a quick, easy one today. 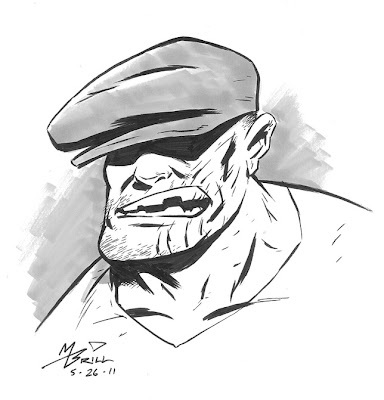 And a portrait of Eric Powell's "The Goon" seemed made to order. he's got a clean, stylish design and I used a brush pen to emulate the polished line-work that Eric uses. About 20 minutes. Still a bit too long, but I wanted it to get that slick presentation down!